Was the WCM replaced during the test procedure? Note: When entering the PIN, care should be taken because the WCM will only allow three consecutive attempts to enter the correct PIN. If three consecutive incorrect PIN's are entered the WCM will lock out the scan tool. To exit lock mode, the ignition key must remain in the run position for one hour. All accessories must be off. A battery charger connected to the battery during this time period is recommended. Reconnect the previously removed and/or diconnected components and connectors. Obtain the vehicles unique Personal Identification Number (PIN) assigned to its original WCM. With the scan tool, select miscellaneous functions. WCM/Wireless Control Module. Then select the desired procedure and follow the display on the scan tool. If the WCM was replaced, all the customers keys must be programmed to the new module. Use the scan tool and the Program key procedure, with the scan tool, erase all DTC. Perform 5 ignition key cycles, leaving the key on for at least 90 seconds per cycle. Drive the vehicle for a minimum of 10 minutes while maintaining a continuous speed above 15 mph (24 km/h). During this time the system will learn the new sensor ID code and will clear any DTC automatically. With the scan tool, read WCM DTC. Are there any DTC present? YES, repair not complete, refer to the appropriate symtom. Reconnect the previously removed and or disconnected components and connectors. Drive the vehicle for a minimum of 10 minutes while maintaining a continuous speed above 15 mph (24 km/h). During this time the system will learn the new sensor ID code and will clear any DTCs automatically. With the scan tool, read TPM DTC. YES, repair not complete, refer to the appropriate symptom. 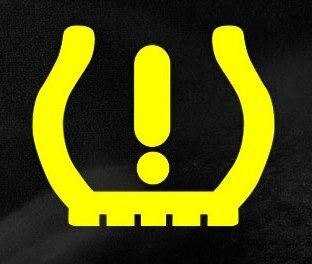 0 Response to "Tire Pressure Monitoring (TPM) Verification"